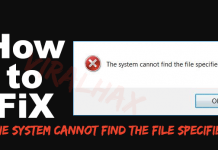 Hey, guys today we are going to show you that how can you fix the Reboot And Select Proper Boot Device Windows 10 Error with few simple methods. Here we have given you 3 solutions that can solve your problem and fix the error. You can follow these methods to fix the error. Therefore read the complete article and follow the instructions carefully. Here are three methods to fix the error. 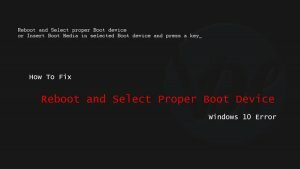 The error “Reboot And Select Proper Boot Device” mostly occurs due to some causes like faulty Power cable, unclean RAM, and due to some BIOS settings. Therefore we have mentioned the fixes for all the problems that cause the error. 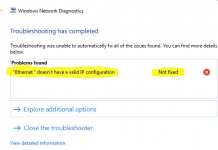 The error “Reboot and Select Proper Boot device Windows 10” can occur due to a Faulty cable also. 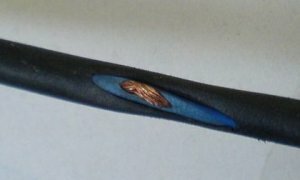 A broken or damaged Power Cable or an improperly connected cable will cause HDD undetectable. If the power cable is not inserted properly, then insert it properly. And if it is damaged, then Replace it with a new cable. Sometimes the error “Reboot and select proper boot device windows 10” can occur due to unclean RAM of your system. 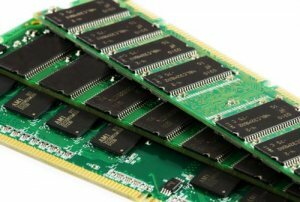 Check your RAM whether it is clean or not? If not, then clean it with a soft cloth like cotton cloth, carefully. And then check whether the error is fixed or not. If the error is not fixed yet, then apply next method. Here in this method, you have to check for the first boot device. Make sure that first boot device would be the hard drive, not an external hard drive like USB Flash drive etc. If it is set to an external hard drive, then the error will occur. In that case, you have to set it to the hard drive. Because Windows should always boot from the hard drive of the system. For this, Go into the BIOS (Basic Input/ Output System), set the hard drive as a boot device and the first priority if needed. 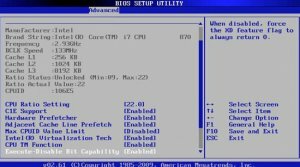 Key Combination and the key, which allows entering BIOS will be according to the brand of your system. If you don’t know the key, then you can visit the website of the manufacturer for this. After entering the BIOS, follow the on-screen instructions. It will take you to the Boot Priority Order section, where you will find different settings. You only have to follow the on-screen instructions for all. And then set the first boot device as HDD. So these were the fixes of the error Reboot And Select Proper Boot Device Windows 10. 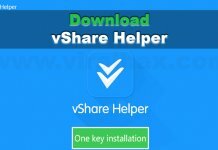 I hope these will help you in fixing the error. All you need to do is to follow the instructions carefully. At the end of this article, I thank you all for visiting this website. I hope you like this post. If you like it then please share it with your friends and family. You can share it on your social media networks. If you have any query or suggestion for the post then you can ask in the comment section. And don’t forget to share your feedback for the site. And keep visiting for more updates.